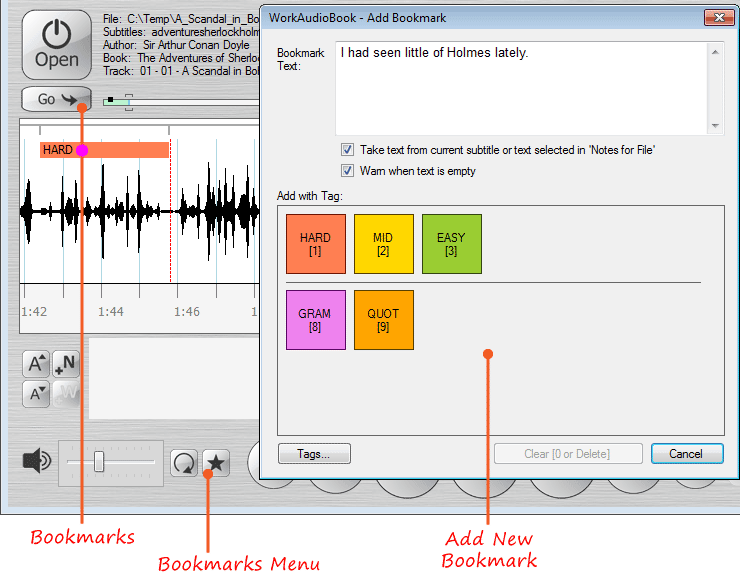 Version 4.3: Playback of recording from a microphone, "Move only around bookmarks" mode is improved. 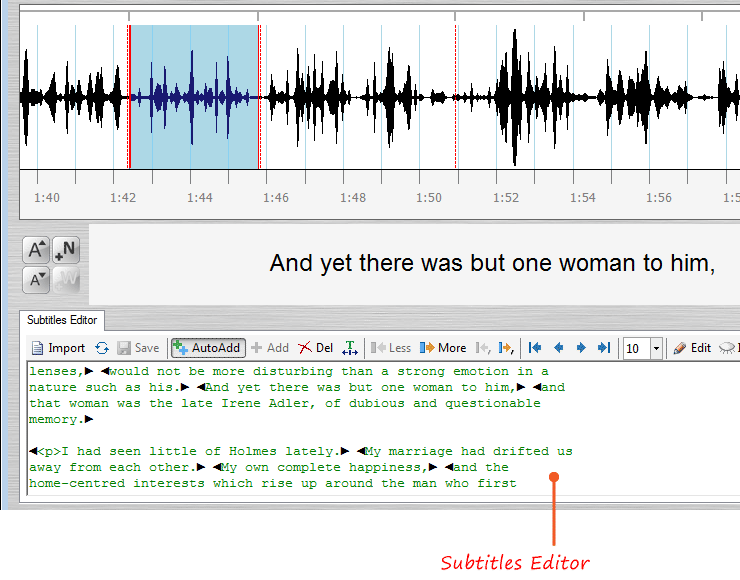 Version 4.2.1: Bookmarks and grades, Repetition of the difficult fragments, Creation of subtitles. A must-have. 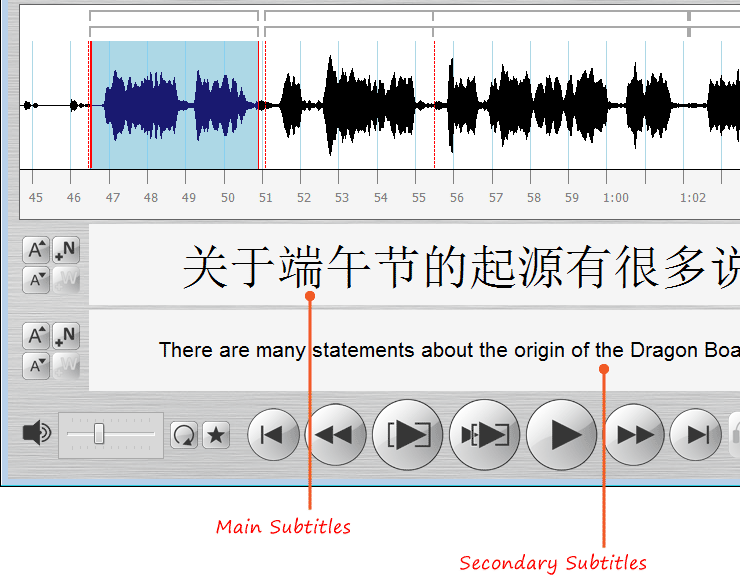 Indispensable for learning foreign languages. 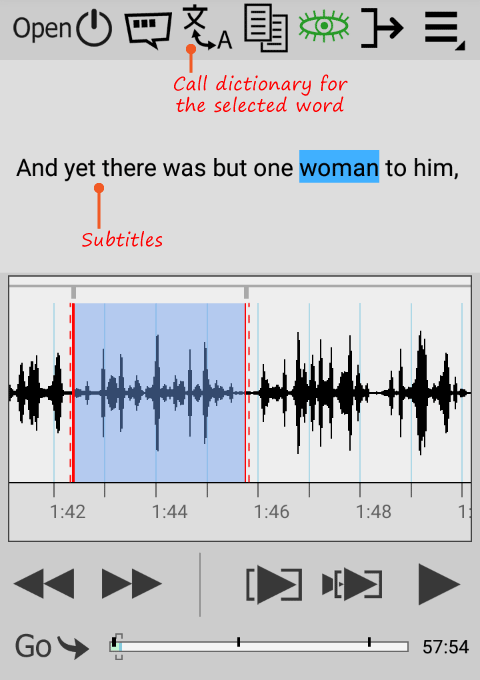 By far the easiest most reliable of this sort of app. I have tried many. AWESOME!! 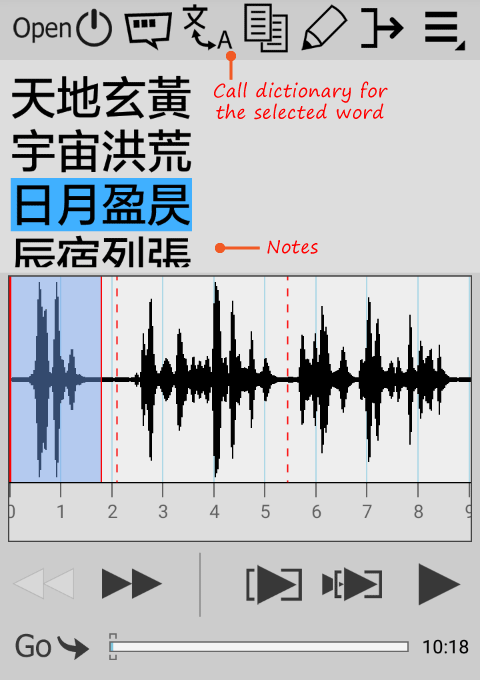 A totally awesome app for all language learners out there. Totally recommend! This app is great. 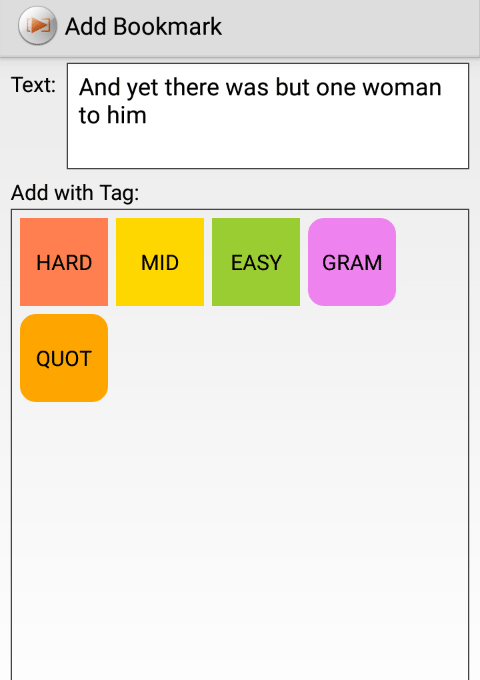 The most important feature is the automatic sentence detection, so that you can navigate in terms of sentences, not in terms of seconds. 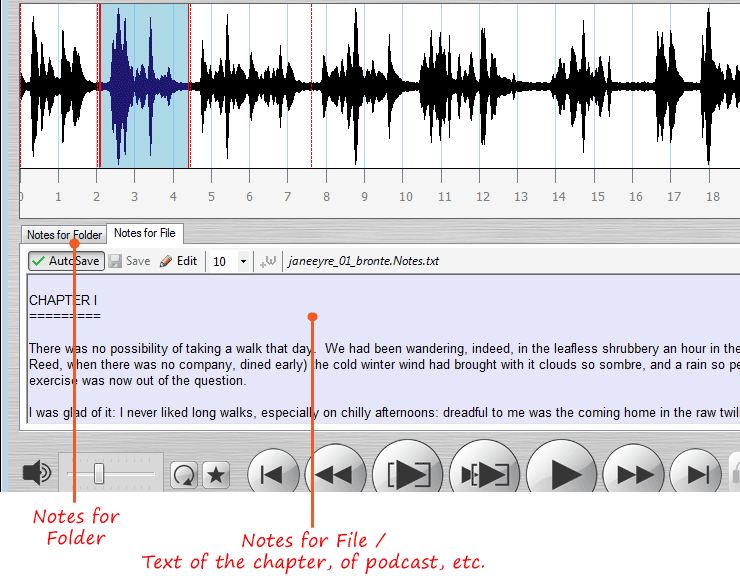 It is easy to navigate even podcasts that are several hours long. Most other "repeat player" apps cannot handle tracks longer than a few minutes. Simply perfect. 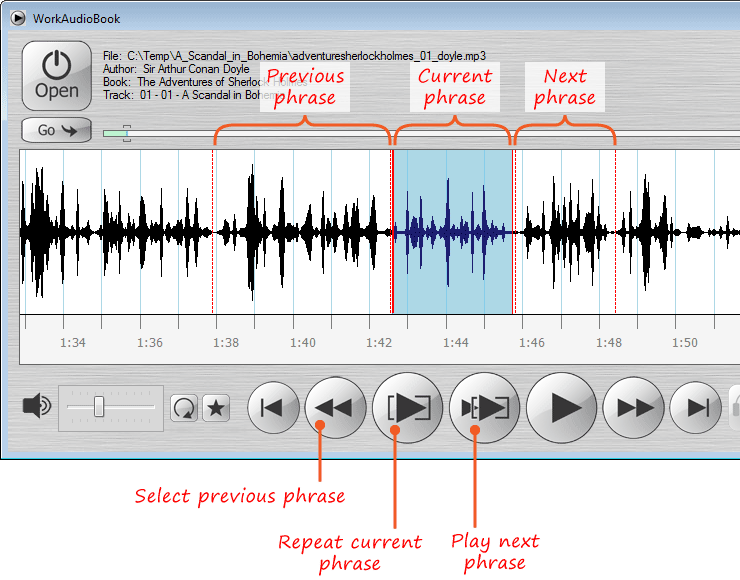 Incredibly useful to learn a foreign language the natural way (by listening over and over). 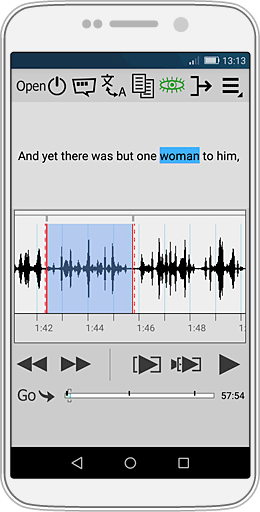 The author seems to have read my mind and made this app to fit my needs. I bought it (android version) immediately after trying it and would have paid a lot more than I did. 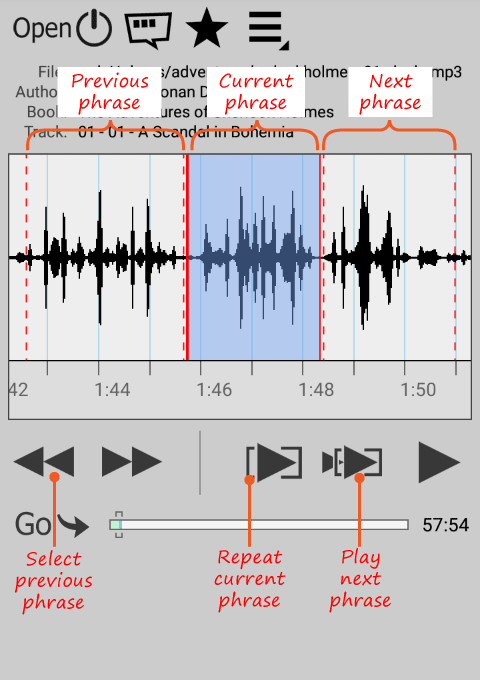 Is a pity this app remains so hidden in the jungle of sound apps. 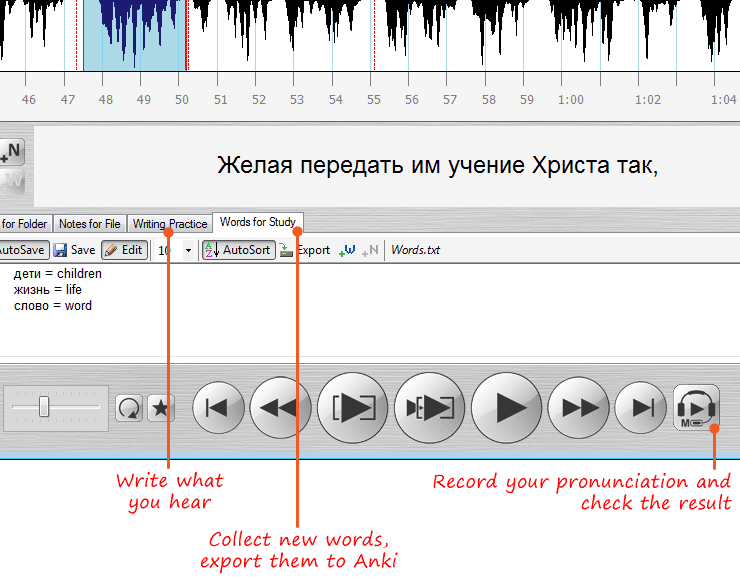 Not only to learn a foreign language but also very helpful to carefully listen to and make a transcript of a recording (lessons, conferences) in a foreign or native language.